Virtually every village in Britain, no matter how small, has a World War I memorial monument in the town center which once a year on Remembrance Day is decorated with wreaths of red poppies. 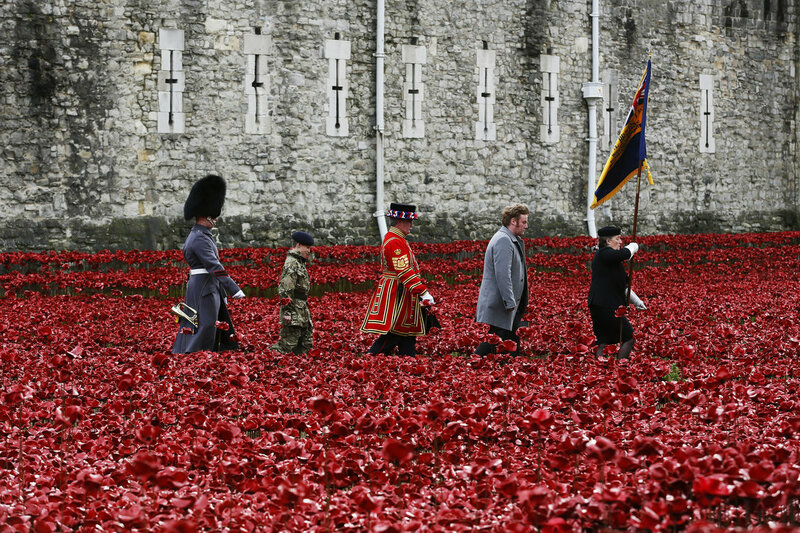 In the UK you can can buy poppies in the days leading up to Remembrance Day in shops or from people on the street – the money you pay for them goes to decorate graves and monuments to fallen soldiers. Here at our school, the British and Canadian embassies provide boxes of fabric poppies that teachers and visitors can buy at the reception desk for a small donation. 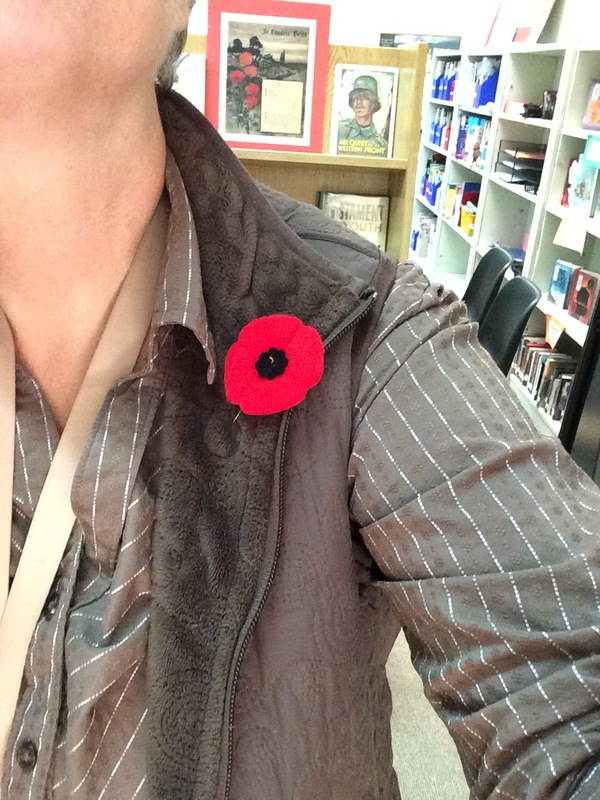 This week many of my ICS colleagues, especially the British, Canadian, and Australian ones, are sporting these poppies on their lapels. 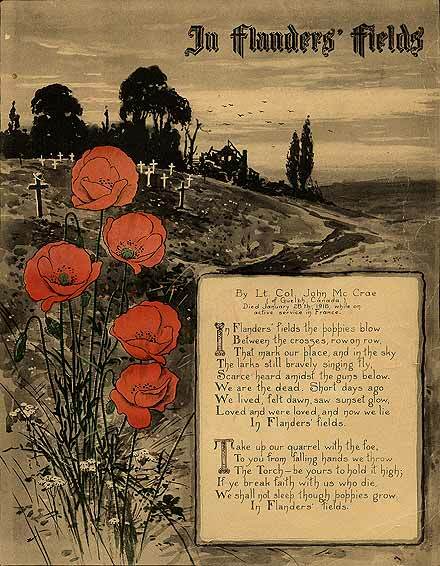 This year marks the hundredth anniversary of the start of that war and today is the 96th anniversary of its official end. To me it seems almost impossible that it was so long ago, I guess because both of my own grandfathers served with the US Army in France. Let me tell you a little bit about them. This is my father’s father, Edward Ramon MacIver. Grandpa was born in San Francisco in 1888 and grew up in the French-speaking community that existed there in those days. He was almost 30 years old when the US joined the conflict in Europe. 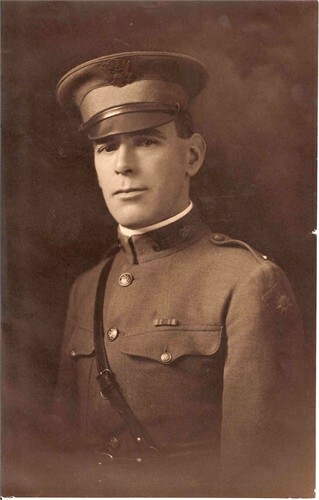 Grandpa was a sergeant in the army quartermaster corps, which meant he procured and distributed supplies to the troops. His facility with French was useful in his assignment. He remained in France with the army for another year after the war ended to oversee the sale of the war horses. ‘Permission to speak, sir?’ Sergeant Thunder ventured. Major Martin shifted his feet and looked down at his boots. He spoke softly as if he did not want to be heard. ‘No, Sergeant,’ he said. ‘I’m afraid the horses won’t he coming with us at all.’ There was an audible muttering of protest from the parading soldiers. Most of those brave animals went to butchers and glue factories. Nevertheless, Grandpa often spoke nostalgically about his years in France and he stayed in touch with the family he’d been billeted with in Le Mans. Written on the back: France 1919. Mr. Rousseau and daughter Lucianne and myself. People with whom I was billeted. 16 Bis Rue La Roche; Le Mans, Sarthe; France. My maternal grandfather, Robert Alan Woodyard, was born in West Virginia in 1893; as a little boy he moved out west with his father where he grew up on a farm in Sunnyside, Washington. He had just graduated from “U-dub” when he signed up for the army and was made a 2nd lieutenant in the 91st “Wild West” division. 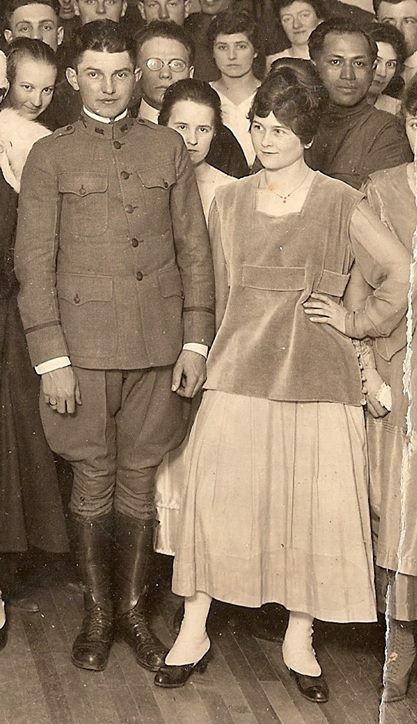 His regiment, the 361st, trained at Fort Lewis near Tacoma WA, and it was at a dance nearby that he met my grandmother. My grandmother used to tell us she’d gone to that dance with a young man from Tacoma, who was upset when she traded him in for the soldier. He said, “You just like him because he’s wearing a uniform.” “If you were any kind of man, you’d be wearing one, too,” she answered. The next time she saw that fellow, he was wearing a uniform. But he didn’t win my grandma back. Granddaddy didn’t talk about his war experiences, at least not with his family. 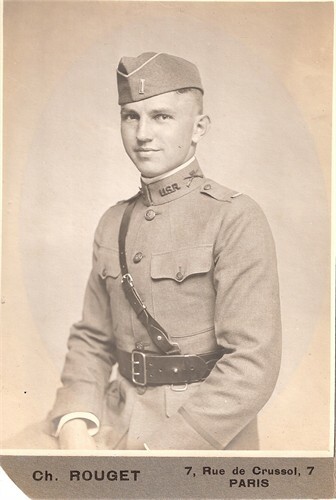 I know from written accounts of the 361st that he was in the trenches in some of the worst campaigns at the end of the war, including the Argonne; he was promoted to 1st lieutenant and he was the only officer in his company who returned home alive and uninjured. One of Granddaddy’s fellow officers in the 91st was future Chief Justice of the Supreme Court Earl Warren; they became lifelong friends (there’s a photo of them somewhere… one day I’ll dig it out of the archives and insert it here). 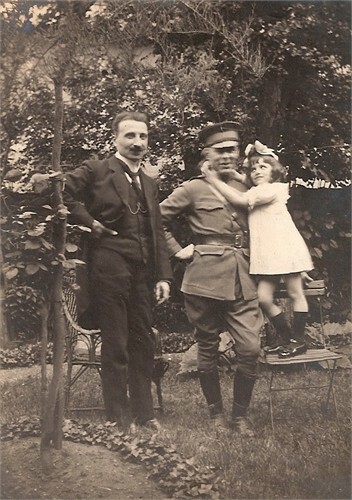 This entry was posted in Family and tagged France, genealogy, WWI. Bookmark the permalink. What a beautifully composed tribute. I especially like the dance night photo. What a cool find.